(W) Brian Azzarello (A) Eduardo Risso (CA) Dave Johnson. 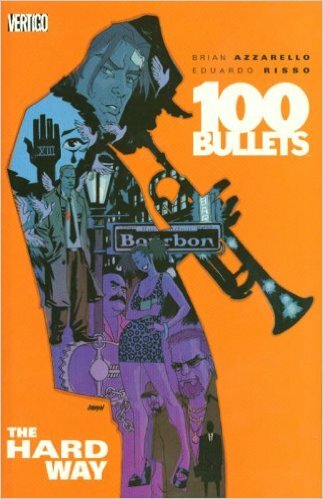 Written by Brian Azzarello Art by Eduardo Risso Cover by Dave Johnson Reprinting 100 BULLETS #50-58, unraveling the tangled mystery of the Trust as Wylie Times becomes the latest Minuteman to be reactivated by the Trust's one-time enforcer Agent Graves. But which side will he choose? Plus, an introduction by crime novelist Jason Starr (Twisted City, Tough Luck). .